Posted by Karen at 2:59 p.m. 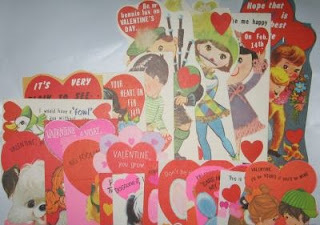 I loved those valentine books!! We did the same thing in our classroom and my kids do the same still. 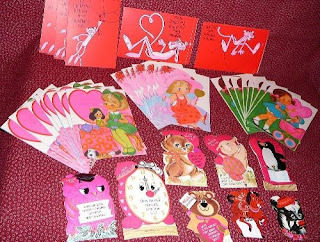 They get more stuff nowadays though...most parents do up little baggies of candy and some throw in pencils with heart erasers and stuff like that. 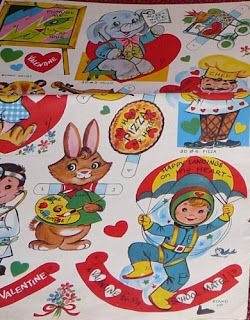 The valentine holders are still paper plates or heart shaped construction paper. What memories!! And you saw these in ebay!!! I wish I had kept mine!